A new term brings about many exciting and wonderful things: confused freshers trying to find the elusive Biology Lecture theatre (it’s the one with the whale skeleton in it by the way), ongoing Design the Spine developments and, of course, those classic rainy trips to Sugarhouse that we all enjoy so much. But there was one old friend I greeted this new term who I was not pleased to see. Freshers’ Flu. The bane of every university student’s autumn term. When I contracted Freshers’ Flu as a fresher, I had to put my hand up and say: “Alright, this is a fair punishment for my sins.” A full week of drinking copious amounts of alcohol, eating nothing but super noodles and getting an average of two and a half hours sleep every night in an unfamiliar environment was bound to have nasty consequences for my immune system. Second time round I thought, “fine”. I wasn’t strictly a fresher but between being on the Fencing stall at Freshers’ Fair and spending a lot of time around freshers generally, it was a fair guess that a second bout of sniffles would be in store. But going into my third year at Lancaster there’s nothing “fresh” about this. As a sufferer of the trials and tribulations of symptoms for two years on the run, I wasn’t keen on repeating it this time. In preparation, I took every necessary precaution to defend myself. I stocked up on Heinz tomato soup, horded blankets and downed half a litre of orange juice per day to preserve some of that precious Vitamin C.
Alas, despite all this, one crisp autumn morning I awoke in my bed, swallowed, and felt like I’d been gargling sandpaper. A sore throat: the first tell-tale sign. This was bad. Very bad. 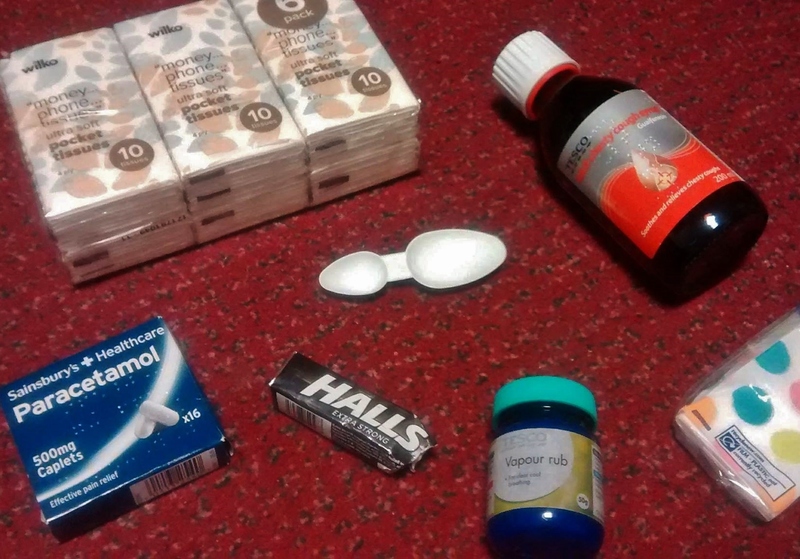 Freshers’ Flu had struck for a THIRD time. Attempting to ward it off with Soothers and a hot shower was no help. The damage was done, and now I am doomed to suffer a blocked nose and restless nights until at least Week 3. Why, as a third-year, is this something that I must suffer through yet again? Firstly, there’s nothing you can do to escape its clutches. I’m sorry. Fresher or not, resistance is futile and I’ve learnt that the hard way. We must resign ourselves to spending half our student loans on Night Nurse and Beecham’s All in One. We must thoroughly douse our bedsheets in Olbas Oil and the sweet musk of eucalyptus. And most importantly, we must learn to power through painfully long bus trips packed with dripping noses and hacking coughs so that we can arrive at university and educate our young, cold-addled minds.